After nearly a year of voting and the selection of monthly winners, The Dry Tortugas #Photo Contest is gearing up for a Grand Prize Winner. Twelve finalists have each won a National Parks annual pass and are now in the running for the Grand Prize, a $500 gift card. Now, the public gets to assume the role of art critic and vote so a winner can be chosen. Photographs can be viewed and votes can be cast by visiting the Dry Tortugas website at drytortugas.com/contest. Voters can vote once a day for their favorite photograph through September 30, 2017. The contest, sponsored by the Yankee Freedom III and the National Parks Service, is the second annual—the first contest took place from February, 2015 to February, 2016 and was created to help celebrate the centennial of the National Parks. 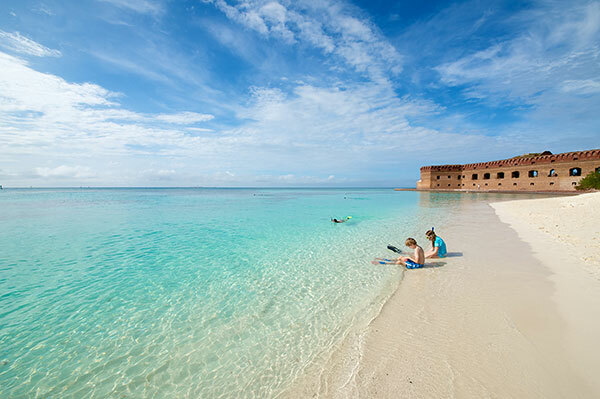 The Dry Tortugas National Park is a tiny cluster of secluded islands located 70 miles west of Key West, Florida. There, visitors can participate in an array of unforgettable experiences including snorkeling, camping, fishing, swimming, sunning on a pristine beach and exploring the historic Civil War Fort Jefferson. A top spot for bird watchers, the Dry Tortugas is a layover for many migrating birds that travel between South America and the USA and is an important part of the Great Florida Birding Trail. 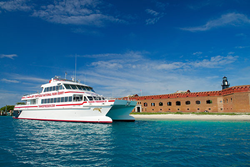 Yankee Freedom III is the official ferry to the Dry Tortugas, departing from Key West, the state-of-the-art, luxury catamaran provides daily trips as well as transportation for overnight camping. To find out more about the Yankee Freedom and plan your trip to the Dry Tortugas visit http://www.drytortugas.com or call 305-294-7009.